The Un Reisel Mae is part of the Clarks Unstructured Collection . 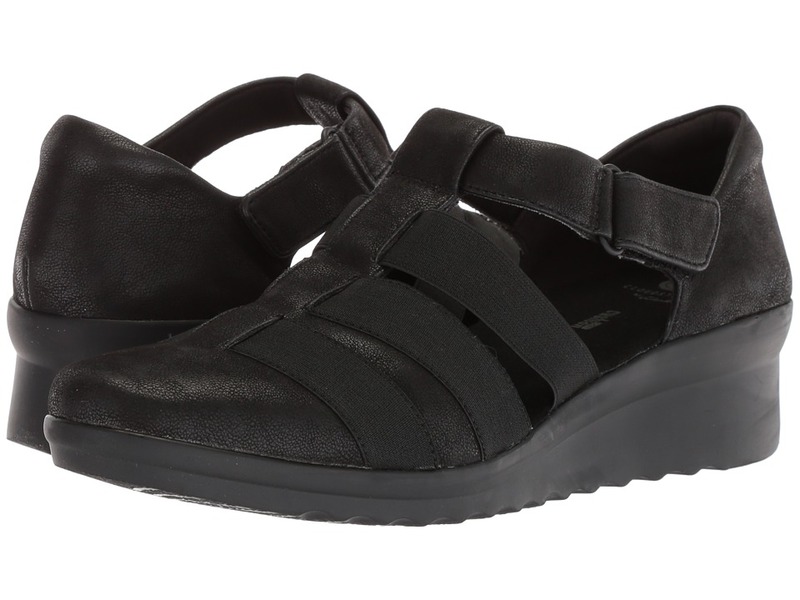 The Clarks Un Reisel Mae sandal is an easy go-to choice for a diverse wardrobe! Rich leather upper is decorated with laser-cut details for added appeal. Dual hook-and-loop strap closure at the ankle for easy adjustability. Soft leather lining. Leather sock liner with an OrthoLite&amp#174 footbed for all-day comfort and support. Unstructured Air Circulation System for breathable wear. Durable rubber outsole. Imported. Measurements: Heel Height: 1 in Weight: 9 oz Platform Height: 3 4 in Product measurements were taken using size 8.5, width B - Medium. Please note that measurements may vary by size. Weight of footwear is based on a single item, not a pair. The Un Reisel Mara is part of the Clarks Unstructured Collection . 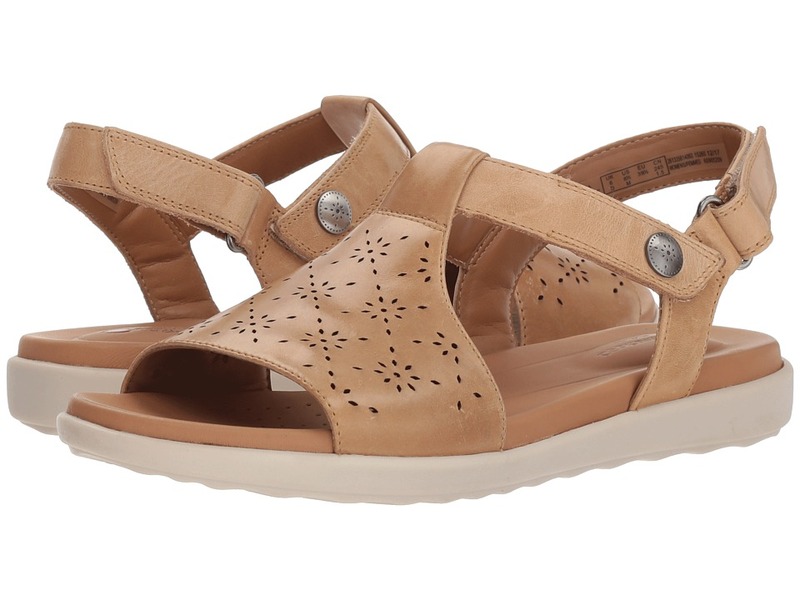 The casually chic style of the Un Reisel Mara sandal from Clarks will complement your summer look. Rich leather upper. Hook-and-loop strap closure at ankle for easy adjustability. Soft leather lining. Leather sock liner with breathable OrthoLite&amp#174 footbed for all-day comfort and support. Durable rubber outsole. Imported. Measurements: Weight: 10 oz Product measurements were taken using size 9, width B - Medium. Please note that measurements may vary by size. Weight of footwear is based on a single item, not a pair. The Un Tallara Dee is part of the Unstructured&amp#174 Collection. 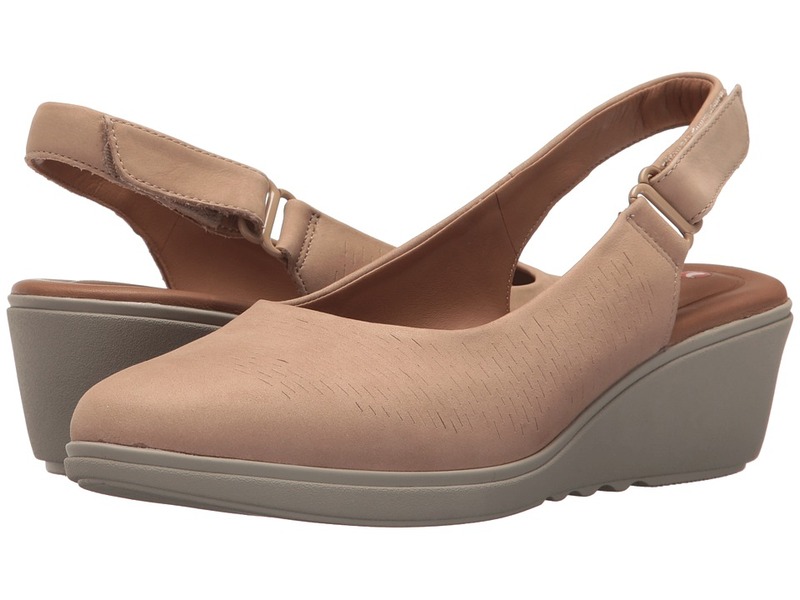 Be ready for every summer event when you wear the Un Tallara Dee wedge from Clarks. Nubuck leather upper. Easy slip-on design. Supple leather lining. Leather sock liner with breathable, moisture-wicking OrthoLite&amp#174 footbed provides underfoot comfort and support. Lightweight EVA wedge. Durable rubber outsole. Imported. Measurements: Heel Height: 2 in Weight: 10 oz Product measurements were taken using size 8.5, width B - Medium. Please note that measurements may vary by size. Weight of footwear is based on a single item, not a pair. The Un Tallara Rae is part of the Unstructured&amp#174 Collection. 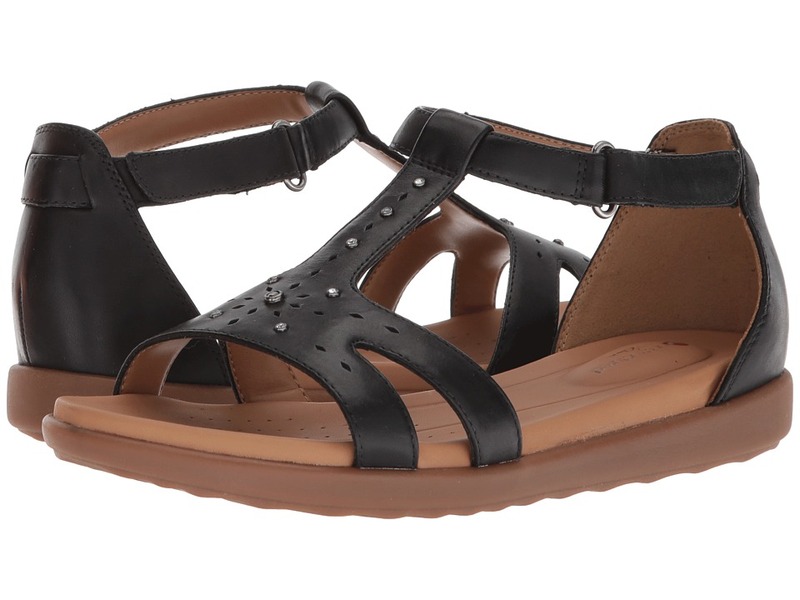 Be ready for every summer event when you wear the Un Tallara Rae sandal from Clarks. Nubuck leather upper. Adjustable hook-and-loop closure. Soft leather lining. Leather sock liner with breathable, moisture-wicking OrthoLite&amp#174 footbed provides underfoot comfort and support. Lightweight TPR outsole. Imported. Measurements: Heel Height: 2 in Weight: 10 oz Platform Height: 1 2 in Product measurements were taken using size 8, width B - Medium. Please note that measurements may vary by size. Weight of footwear is based on a single item, not a pair. 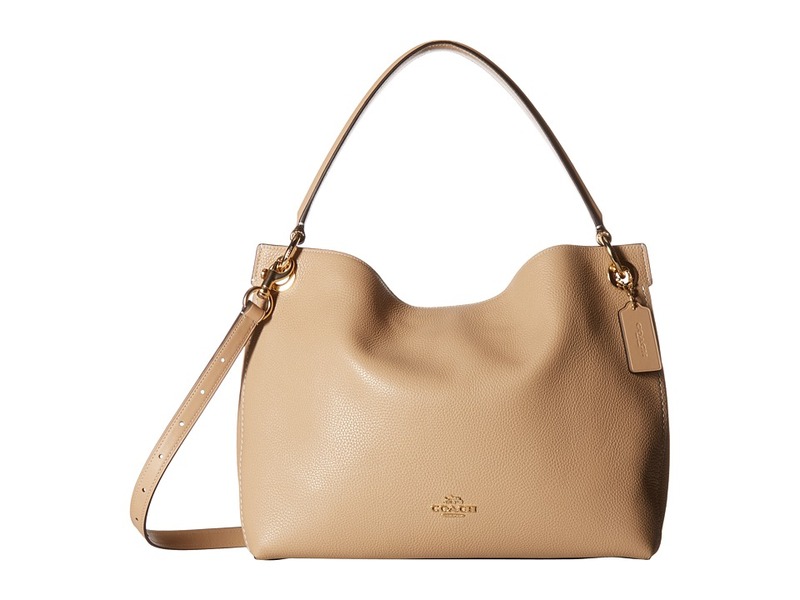 The Wynnmere Abie is part of the Clarks Unstructured Collection. 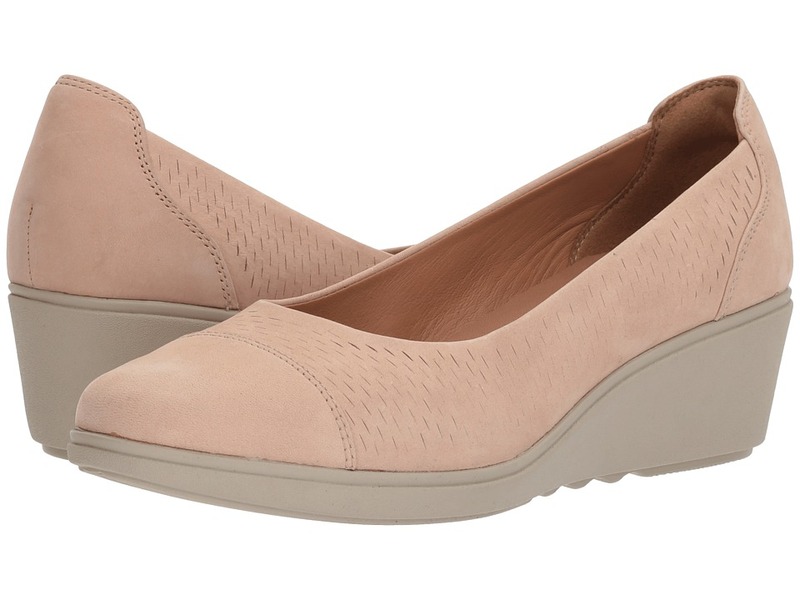 Feeling chic and staying comfortable all day long will be easy with the stylish Wynnmere Abie wedge from Clarks. Velvety nubuck leather upper. Back hook-and-loop strap for easy adjustability. Comfortable leather lining. Leather sock liner with cushioned OrthoLite footbed for all-day comfort. Lightweight EVA wedge and platform. Durable rubber outsole. Imported. Measurements: Heel Height: 2 1 2 in Weight: 13 oz Platform Height: 1 in Product measurements were taken using size 8, width B - Medium. Please note that measurements may vary by size. Weight of footwear is based on a single item, not a pair. The Clarks Tri Form sneaker is an easy to wear must-have! Rich leather upper. 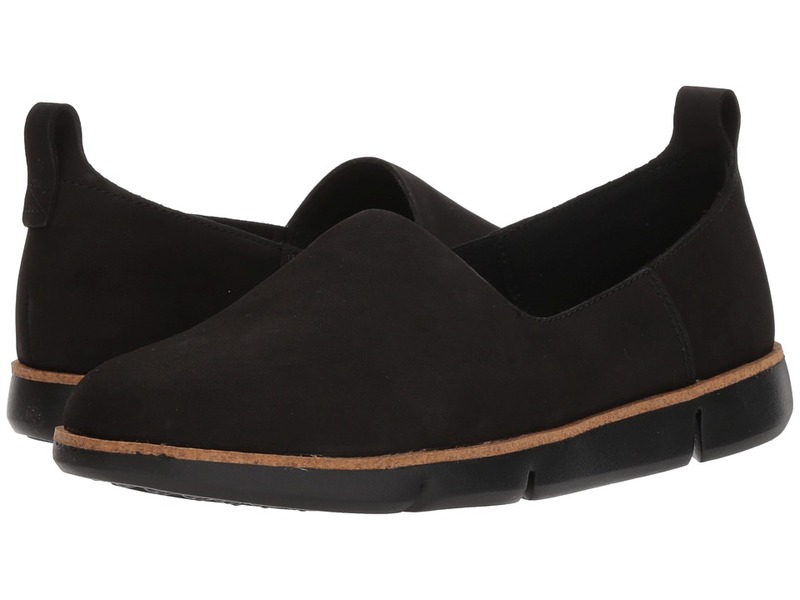 Easy slip-on style with an elastic band across the vamp for a comfortable fit. Soft leather lining feels great against the foot. Generously cushioned Trigenic footbed for all-day comfort. Lightweight and flexible EVA outsole for a pleasurable walking experience. Imported. Measurements: Weight: 6 oz Product measurements were taken using size 8.5, width B - Medium. Please note that measurements may vary by size. Weight of footwear is based on a single item, not a pair. The Caddell Shine is part of the Clarks CloudSteppers Collection. 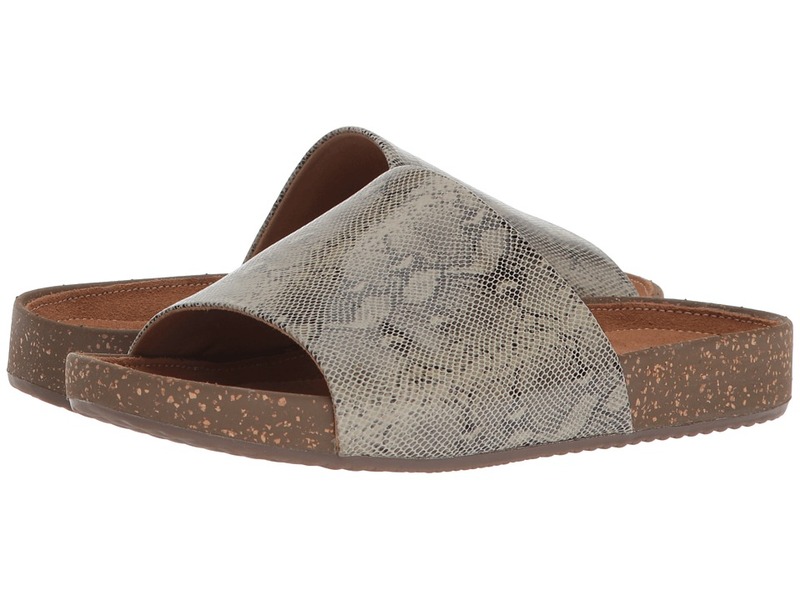 The Caddell Shine sandal is will be an ultra-comfortable go-to for you this season! Synthetic nubuck upper in a strappy silhouette. Adjustable hook-and-loop closure. Goring across the vamp for flexibility. Soft, breathable textile lining for all-day wear. Cushion Soft technology with OrthoLite footbed ensures comfort with every step. CloudSteppers technology for added support. Durable TPR outsole. Imported. Measurements: Heel Height: 1 3 4 in Weight: 10 oz Platform Height: 1 2 in Product measurements were taken using size 9.5, width B - Medium. Please note that measurements may vary by size. Weight of footwear is based on a single item, not a pair. The Caddell Ivy is part of the Clarks CloudSteppers Collection. 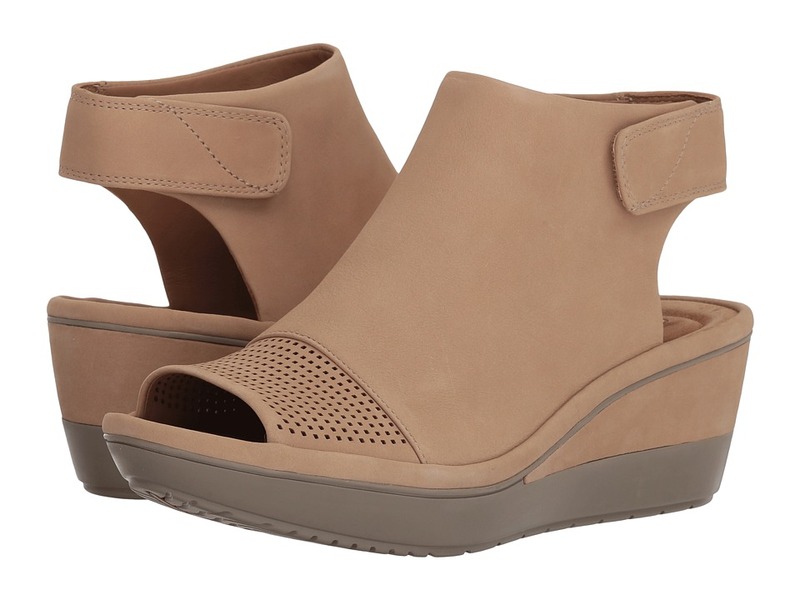 Elevate even the simplest of looks with the Clarks Caddell Ivy wedge sandal. Synthetic upper features a textile elastic top for additional comfort. Easy slip-on style. Breathable textile lining for all-day wear. Cloudsteppers cushioned footbed. Cushion soft technology for added comfort. Supportive EVA midsole. Lightweight TPR outsole. Imported. Measurements: Heel Height: 1 3 4 in Weight: 7.4 oz Platform Height: 1 2 in Product measurements were taken using size 7.5, width B - Medium. Please note that measurements may vary by size. Weight of footwear is based on a single item, not a pair. The Clarks Tri Curve is a slipper-inspired sneaker with lots of comfort! Nubuck upper in an athletic silhouette. Easy slip-on style. Soft leather and textile lining feel great against the foot. Generously cushioned Trigenic footbed for all-day comfort. Lightweight and flexible EVA outsole for a pleasurable walking experience. Imported. Measurements: Heel Height: 1 in Weight: 6 oz Platform Height: 1 2 in Product measurements were taken using size 7.5, width B - Medium. Please note that measurements may vary by size. Weight of footwear is based on a single item, not a pair. The Danelly Bodie is part of the Clarks Collection. 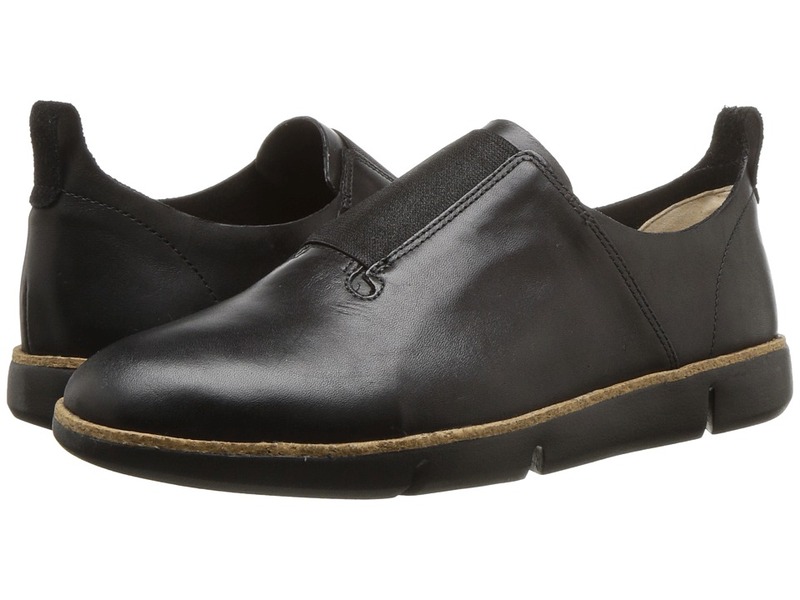 Complement your outdoorsy wardrobe with the Danelly Bodie shoe from Clarks. Leather or metallic leather upper. Easy slip-on style with an adjustable lace. Soft textile lining for additional comfort. Cushion Soft technology with OrthoLite footbed for all-day wear. 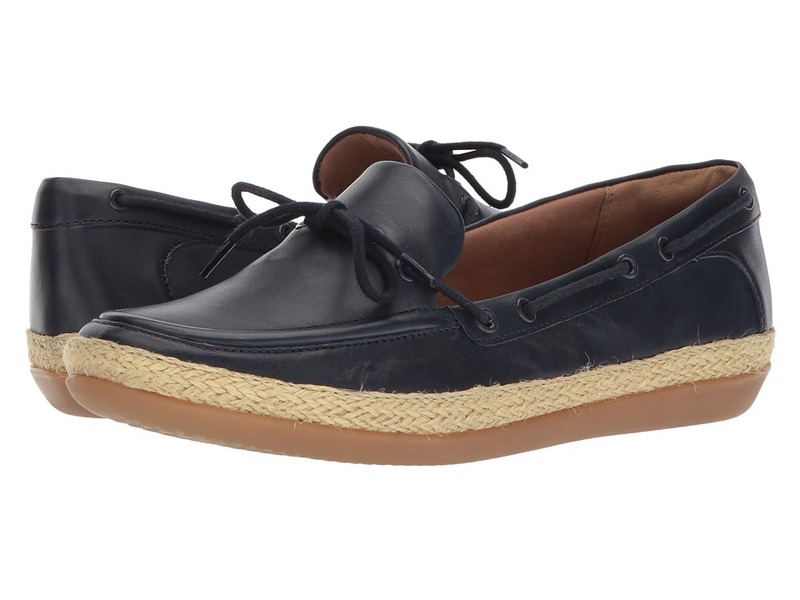 Espadrille-wrapped midsole. Durable rubber outsole. Imported. Measurements: Weight: 8 oz Product measurements were taken using size 9, width D - Wide. Please note that measurements may vary by size. Weight of footwear is based on a single item, not a pair. 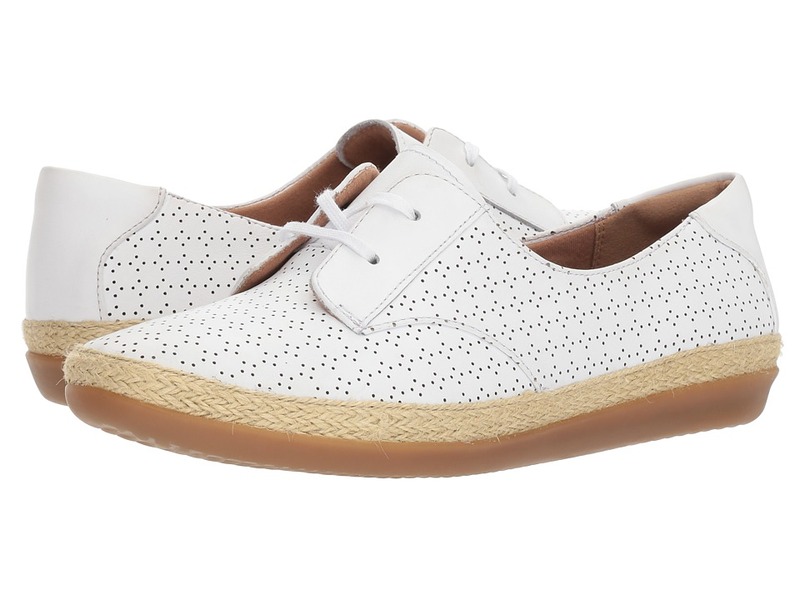 The Danelly Millie is part of the Clarks Collection. Elevate your look with the fun and stylish Clarks Danelly Millie sneaker. Leather upper with perfs for breathability. Lace-up closure for an adjustable fit. Soft textile lining for added comfort. Cushion Soft technology with OrthoLite footbed ensures comfort with every step. Espadrille-wrapped midsole. Durable rubber outsole. Imported. Measurements: Weight: 7 oz Product measurements were taken using size 8, width D - Wide. Please note that measurements may vary by size. Weight of footwear is based on a single item, not a pair. The Rosilla Hollis style is part of the Unstructured Collection. Glide through the day with the easy-to-wear Clarks Rosilla Hollis sandal. Easy slide-on style with a leather upper. Leather lining offers a soft feel. Soft suede sock liner with OrthoLite cushioned footbed for all-day comfort and support. TR outsole for long-lasting durability. Imported. Measurements: Weight: 7 oz Product measurements were taken using size 8, width B - Medium. Please note that measurements may vary by size. Weight of footwear is based on a single item, not a pair. The Un Plaza Strap is part of the Clarks Unstructured Collection. Be easy on the eye with the Clarks Un Plaza Strap wedge. Leather or nubuck upper in a peep-toe silhouette with side cutouts for additional breathability. Dual hook-and-loop straps for a comfortable fit. Soft leather lining feels great against the foot. Generously cushioned OrthoLite footbed for all-day wear. Unstructured Air Circulation System for breathable wear. 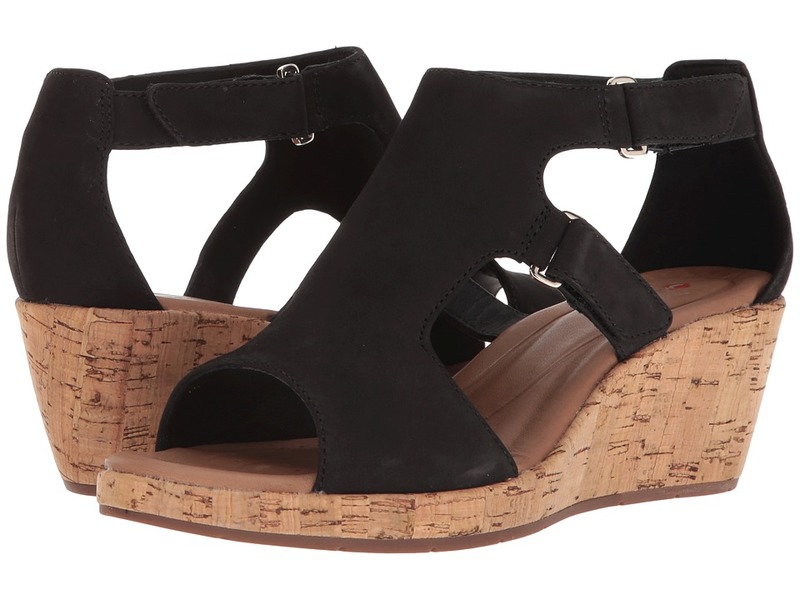 Cork-wrapped wedge. Supportive PU midsole. Durable rubber outsole. Imported. Measurements: Heel Height: 2 1 4 in Weight: 11 oz Platform Height: 1 2 in Product measurements were taken using size 8, width D - Wide. Please note that measurements may vary by size. Weight of footwear is based on a single item, not a pair. The Un Reisel Myra is part of the Clarks Unstructured Collection . 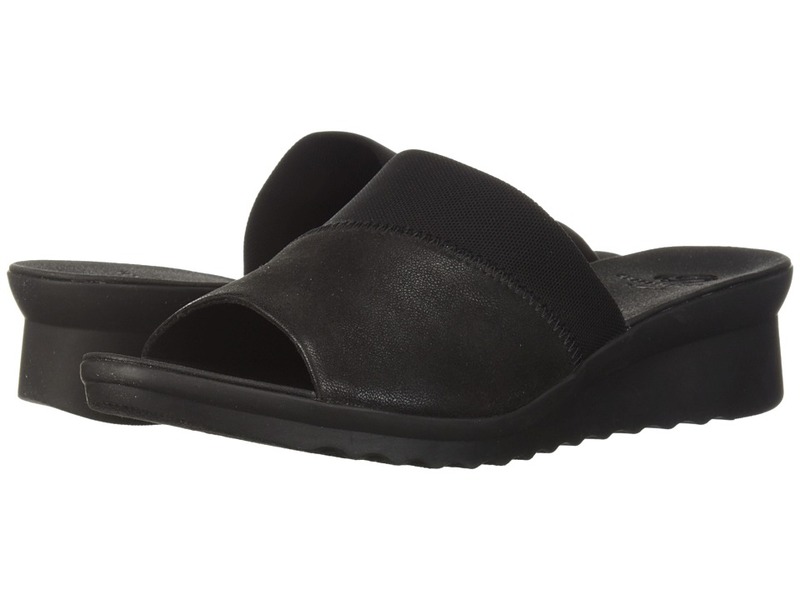 Get into the rhythm of good-looking comfort with the Clarks Un Reisel Myra slide! Rich leather upper. Easy slip-on style with a trio of hook-and-loop straps for a comfortable fit. Soft leather lining. 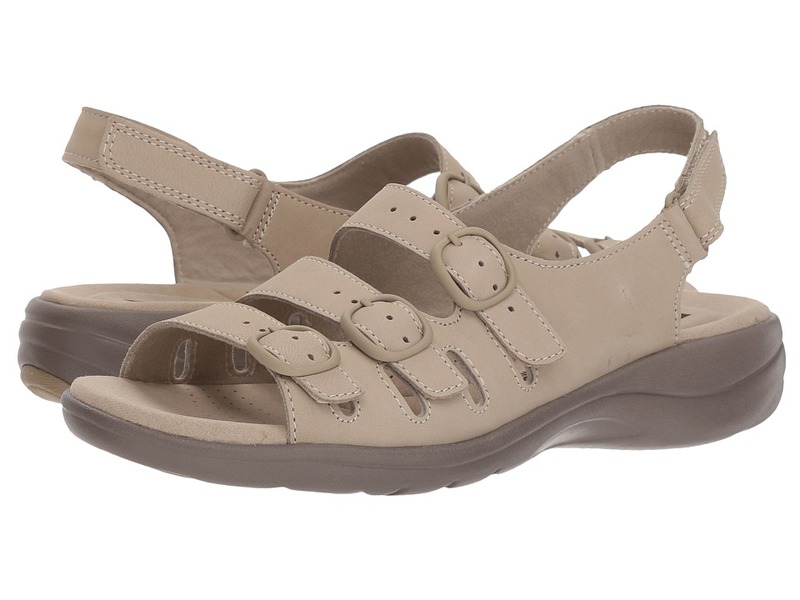 Breathable OrthoLite&amp#174 footbed for all-day comfort and support. Unstructured Air Circulation System for breathable wear. Durable rubber outsole. Imported. Measurements: Heel Height: 1 in Weight: 9 oz Platform Height: 1 2 in Product measurements were taken using size 7.5, width B - Medium. Please note that measurements may vary by size. Weight of footwear is based on a single item, not a pair. The TriActive Knit is part of the Clarks Collection. 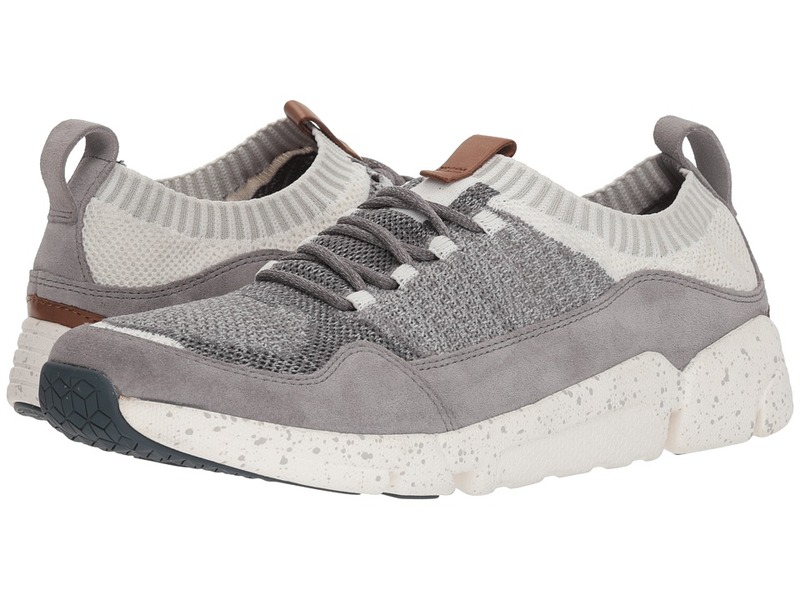 The Clarks TriActive Knit is a sporty sneaker that fits like a sock and works like a sneaker! Knitted upper with suede overlays. Lace-up closure for an adjustable fit. Breathable knit lining. Generously cushioned Trigenic footbed for all-day comfort. Grooved Flex3 rubber outsole. Imported. Measurements: Weight: 11 oz Product measurements were taken using size 11, width D - Medium. Please note that measurements may vary by size. Weight of footwear is based on a single item, not a pair. The Saylie Quartz is part of the Clarks Collection. Cruise through summer in laid-back style with the Clarks Saylie Quartz. Strappy leather upper. A trio of adjustable buckles adorn the front and a hook-and-loop closure is at the ankle for a secure fit. Breathable textile lining for all-day wear. Cushion Soft technology with OrthoLite footbed ensures comfort with every step. Flexible EVA outsole for a pleasurable walking experience. Imported. Measurements: Heel Height: 1 1 2 in Weight: 6 oz Platform Height: 1 2 in Product measurements were taken using size 7.5, width B - Medium. Please note that measurements may vary by size. Weight of footwear is based on a single item, not a pair.